It's the most wonderful time of the year...except when it isn't. With Thanksgiving and Christmas fast approaching, stress and busyness abound for many of us. As we prepare to host family and friends for holiday gatherings, we are often pressed on every side with things to do and shopping lists and dreading the inevitable arguments at the dinner table between family members over politics and religion—or even some conflict dating back to 1982. Pinterest offers inspiration for the picture-perfect table setting and menu (or should I say it produces the opportunity for feeling like a holiday failure if you chose paper over fine china and your un-brined turkey is a bit on the dry side.) We can find ourselves feeling exactly the opposite of grateful and merry. We can even wonder if it's not time to toss tradition and make a break for somewhere warm and tropical! 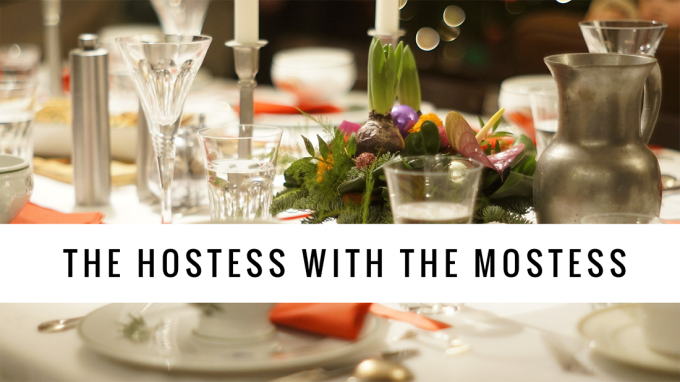 In Luke 10:38-42, we read about a hostess who is dear to my heart. She was not just preparing a Thanksgiving or Christmas meal. She had the honor of welcoming Jesus Himself, along with His disciples, into her home for a big dinner. I don't know about you, but I think that is a task that could intimidate even Martha Stewart! Our hostess (a Martha herself) wasn't a stranger to Jesus, but in fact a dear friend. As she hustled to do the many things necessary, she became frustrated that her sister Mary wasn't helping but was instead sitting with Jesus listening to what He taught. (Usually around here it's a sister who disappears when there are dishes to wash!) Martha was so comfortable with Jesus that she came to Him and said: "Lord, doesn't it seem unfair to you that my sister just sits here while I do all the work? Tell her to come and help me." But, the Lord said to her, "My dear Martha, you are worried and upset over all these details! there is only one thing that is worth being concerned about. Mary has discovered it, and it will not be taken away from her." I can't help but think that wasn't the answer Martha was expecting Jesus to give her. It might not be the answer you and I are expecting either—at first. Nevertheless, it IS the answer. If we consider it with an open heart, we can find our way out of the holiday hosting performance trap. When we focus more on Jesus and less on "all these details," we are concerning ourselves with the right thing and no earthly stressors can take away our joy! Of course, the turkey still needs to be cooked and the table set. I don't believe Jesus was telling Martha to forget the meal entirely. There is joy in serving our friends and families as we give them a place to gather together for the celebrations that mean so much to us. It is a matter of perspective. When we are so busy with the details that we don't have time to sit with the Lord and talk with Him, listen to Him, and simply BE with Him, we are missing the main thing. 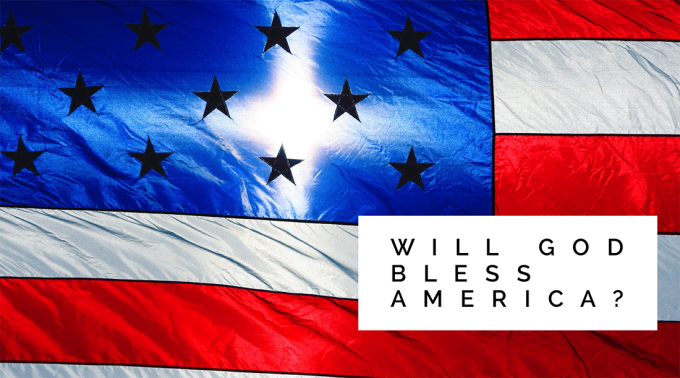 When our relationship with Him takes first place, gratitude wells up in us. We just can't help it. His Holy Spirit in us producing love, joy, peace, patience, kindness, goodness, faithfulness, and self-control will allow us to accomplish the shopping and the cleaning and the cooking with grace. We will be more able to be flexible and not over-react to the inevitable challenges that will come up that threaten our ability to enjoy the holidays. It doesn't matter if we are hosting a feast for 40 of our friends and family or opening a can of soup with no one else but Jesus this Thanksgiving or Christmas. The traditions are nice, but they aren't "the thing". It's all about Jesus. With Him, we have all we need. Won't you join me in striving to be more like Mary this holiday season, no matter your circumstances?